In the first half of Thursday’s show, privacy advocate Katherine Albrecht discussed the invasive smart meter technology that power companies are increasingly switching to, Internet privacy concerns, as well as RFID and tracking issues. During the first hour, she was joined by Jennifer Stahl of Naperville Smart Meter Awareness to discuss Stahl’s arrest on Wednesday while authorities forcibly installed a new meter on her home. The city of Naperville, IL sent installers accompanied by police to her home, and they cut the lock she had placed on a fence that accessed her meter. She was arrested when she stood in front of her electric meter and refused to move. 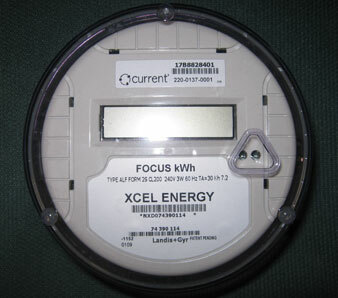 Stahl, who has a lawsuit pending against the city of Naperville, believes the smart meters will have adverse affects on privacy, health, security, as well as lead to higher bills. The city offered her a wireless meter instead, but she would have to pay an additional $25 per month for it. More on the case here. This incident represents the kind of heavy-handed techniques that are about to come, Albrecht commented, as most residents have complied with the smart meter installation, authorities “feel entitled to take the remaining holdouts and force them at gunpoint,” to accept this surveillance infrastructure into their lives. If we’re not careful, within 20 years, she warned, we’re going to be watched by our “smart home,” and it’s going to be like how our cell phones, and the Internet are today, where you’re tracked everywhere unless you opt out. She also gave an update in the San Antonio RFID school case, in which a student was expelled for refusing to wear a tracking card. Further details at chipfreeschools.com. Katherine Albrecht was recently a featured guest on the GAIAM-TV show “Beyond Belief with George Noory.” Watch an excerpt here. In the latter half, consciousness researcher Sandie Gustus shared her research into the nature of consciousness that reveals who we are beyond the physical body, and how the essence of our being is not always connected with a body. She was joined by her associate at the International Academy of Consciousness ( IAC), Patricia Sousa. Gustus reviewed the work of Brazilian consciousness researcher Dr. Waldo Viera, who proposed the theories of projectiology and conscientiology that suggest that human consciousness exists independently of the body. Projectiology studies the projection of consciousness outside the body, such as out-of-body experiences (OBEs), and bio-energy; and conscientiology looks at consciousness as a series of reincarnated lives, she explained. One particularly interesting category of consciousness is called intermissiology, which examines the period in-between lives, or the intermission between lives, she continued. This relates to OBEs, which offer a unique research tool to examine consciousness outside of the body, Gustus noted. Sousa shared some of her OBEs, including a trip to another planet, and described differences between OBEs and the dream state. Dreams are connected to the physical brain and typically lack a beginning and an end, while OBEs offer more control, clarity, and understanding, she said. The problem with OBEs is not that it’s hard to return to the body, but that one is too quickly jolted back to the body, because of environmental and other factors, Gustus added.